Dawn had wanted us to buy her a pair of chopsticks after seeing us using chopsticks for our meals. We can’t find a proper one for her and the training chopsticks (with cute thomas train and cartoon characters) that we see on carts and bulk purchase forum are not the ideal pair. Dear thinks that those with training loops are not ideal because the grip looks and feels incorrect. After much consideration, we finally decided to chose the training chopsticks from Combi. 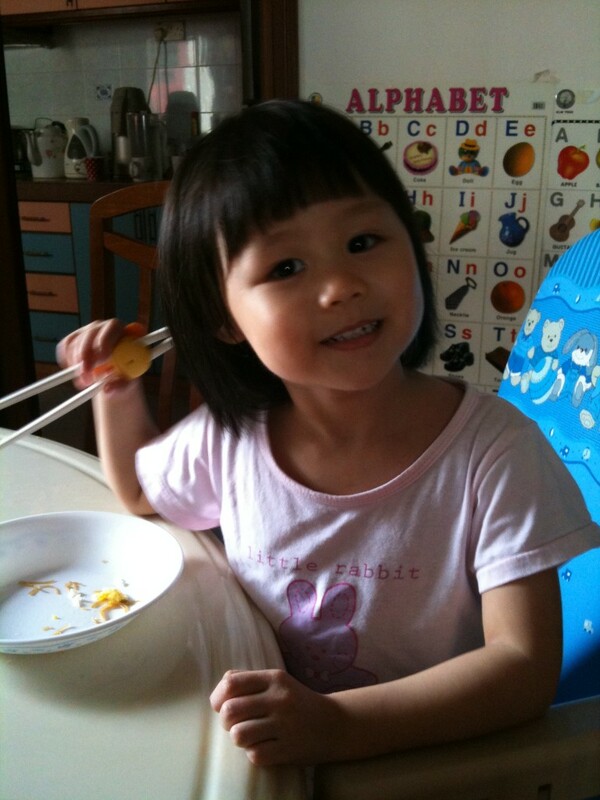 And so we passed the chopsticks to Dawn and we taught her how to pick up her small toys using the chopsticks. Dawn didn’t have much oppotunities to use the chopsticks because she ate rice or porridge most of the time and a spoon served her well. 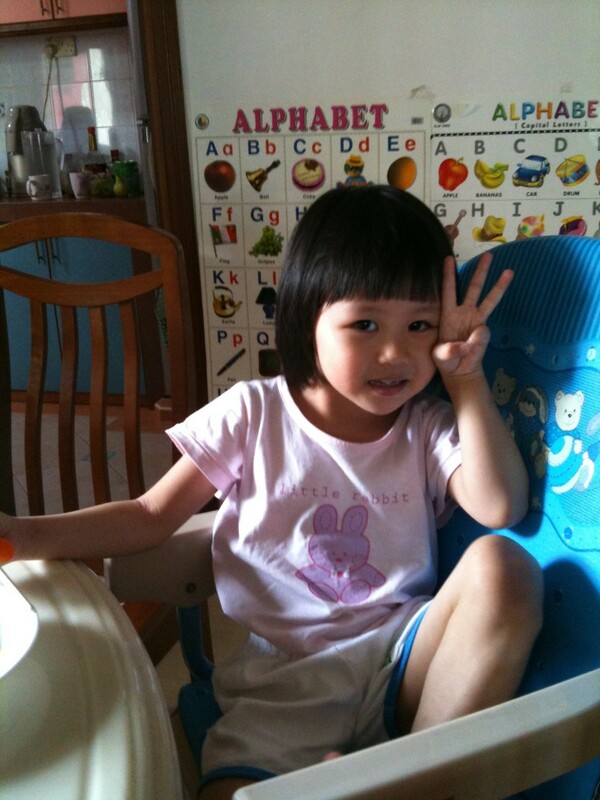 So finally she has this opportunity when she was “taxing” my lunch of bee hoon..and I was amazed by her improvement! Amazing issn’t? It is to me, because I myself didn’t know how to use a chopsticks till pretty late…kids nowadays are just amazing..
Oh ya, a closer look on the chopsticks in case mummies reading here wants to buy one too. This cost about $11+ in Kiddy Palace. 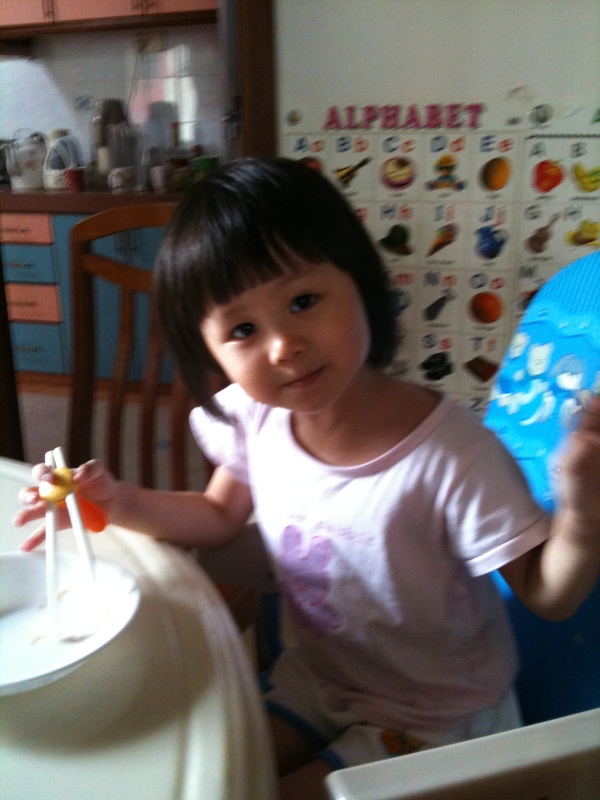 It has something to hold the 2 chopsticks together, and the orange guide is to help the kid to position the hand. It had 2 points which allows one to chose for right or left hand usage.